Hello Sunshine! 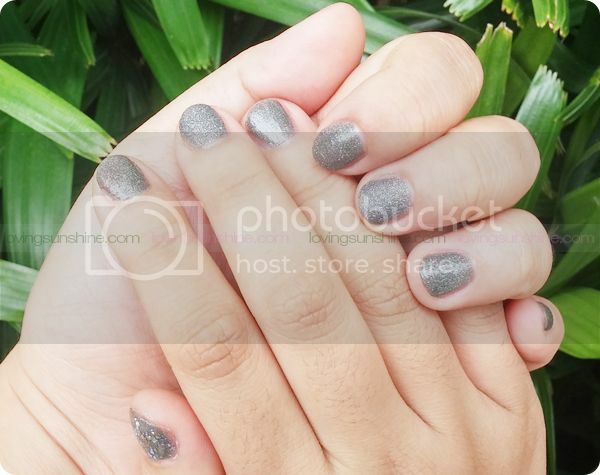 Are you a fan of glitter polish but hate how they're not very office friendly? Relax. The solution to that dilemma is Zoya Pixie Dust! 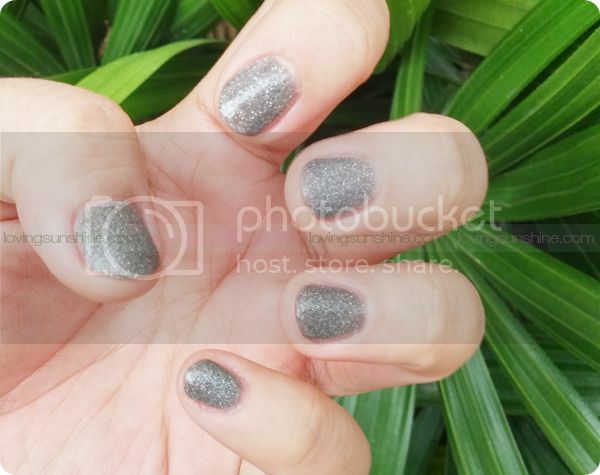 This professional lacquer has all the shimmer any glitter lover would want... but is elegant enough to offer glam! 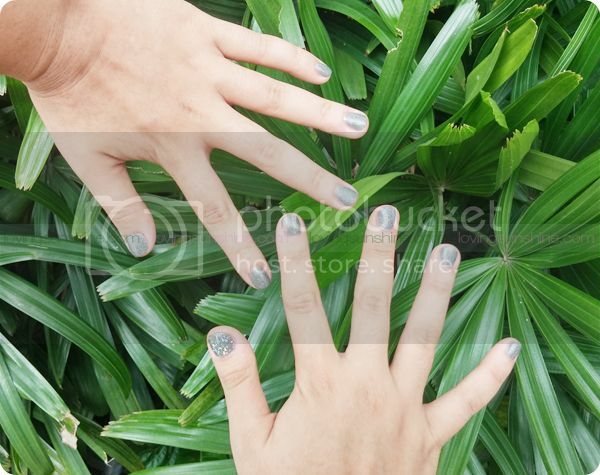 If you are fretting over yellowish nails, take a breather and switch your polish! Did you know that most nail polish are formulated with super harsh chemicals that cause your nails to be brittle and unhealthy? When buying nail polish, make sure the brand you choose is at least 3-free (toluene, dibutyl phthalate (DBP) or formaldehyde). Zoya nail polish is a revolutionary brand which changed the nail industry by making long-lasting, toxin-free polish. It eliminated toluene, camphor, formaldehyde, formaldehyde resin and DBP from its polishes--without sacrificing the color selection that every nail polish lover would want. Zoya nail polish is very safe to use, it's even okay to use for pregnant ladies! 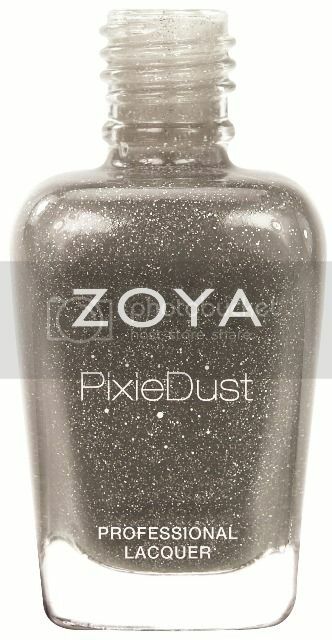 Check out swatches of Zoya Pixie Dust in London. 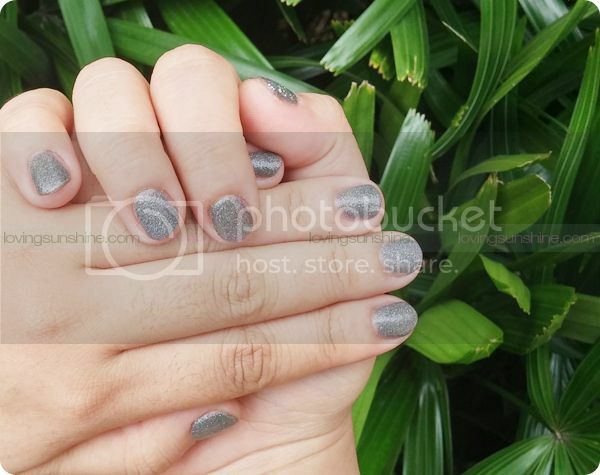 Zoya Pixie Dust in London is a very subtle gray glitter-texture polish that is perfect to use for an edgy NOTD. Personally, I liked this polish more than the Zoya Pixie Dust in Dahlia shade. I tried using a clear nail polish over it but it ate every layer I put over it haha so I decided I'd keep things textured. Don't forget to share in the comments any nail health concern you'd like me to help you understand!